If you’ve never heard of the product category before, here’s a quick run down. Bullet blenders, called such because the blending chamber has a bullet shape compared to a traditional blender, are focused on single servings. Compared to traditional blenders the blending chamber is smaller and the chamber itself is designed to serve as the container you drink it out of. 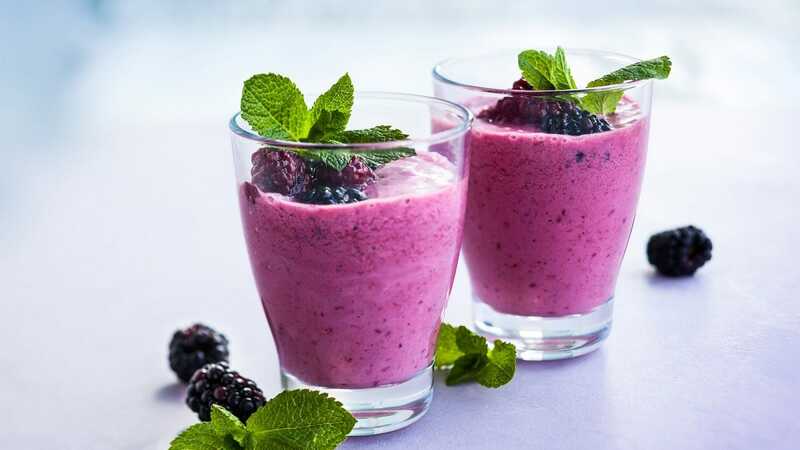 You just stuff what you want in the container—protein powder and milk, fruit and tequila, whatever it is you start your day with—screw on the lid, pop it on the base, and blend up just the amount you need for a perfect smoothie or shake. Whether you’re making a fruit smoothie treat, whipping up a protein shake, or emulsifying the coconut oil or butter into your bullet-proof coffee every morning, bullet blenders are an indispensable kitchen gadget. Here’s our favorites. The Magic Bullet Blender is a great example of how just because a product is an infomercial staple doesn’t mean it’s a cruddy product. 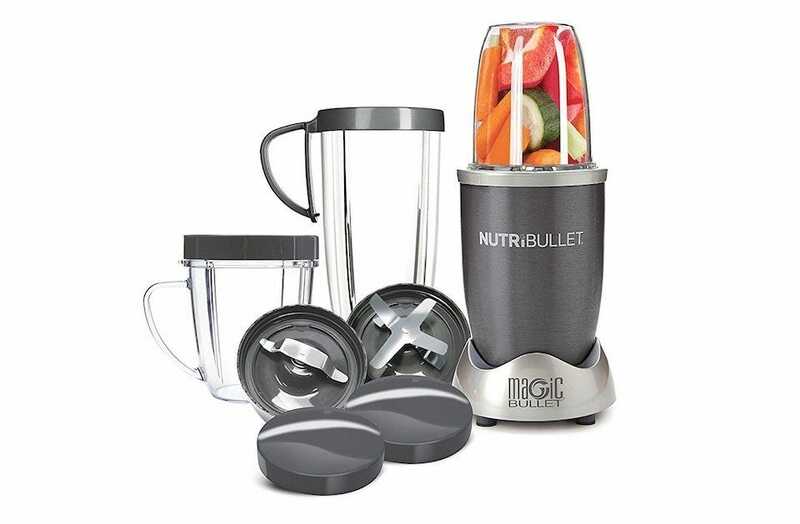 Despite infomercial fame, the Magic Bullet is a ridiculously handy little bullet blender that will complete almost any blending task in 10 seconds or less. The blender comes with 1 party mug, a short cup, and a tall cup, so it works for a multitude of different uses, including your post-gym shake or even if you’re whipping up some salsa for dinner that night—you can also buy starter kits of varying sizes if you want more cups. There’s a 10 second recipes cookbook included too to provide you with inspiration if you want to branch out from just mixing up smoothies and try your hand at a little mini-blender guacamole or the like. Want the bullet blender experience without the hassle of pre-chopping anything? 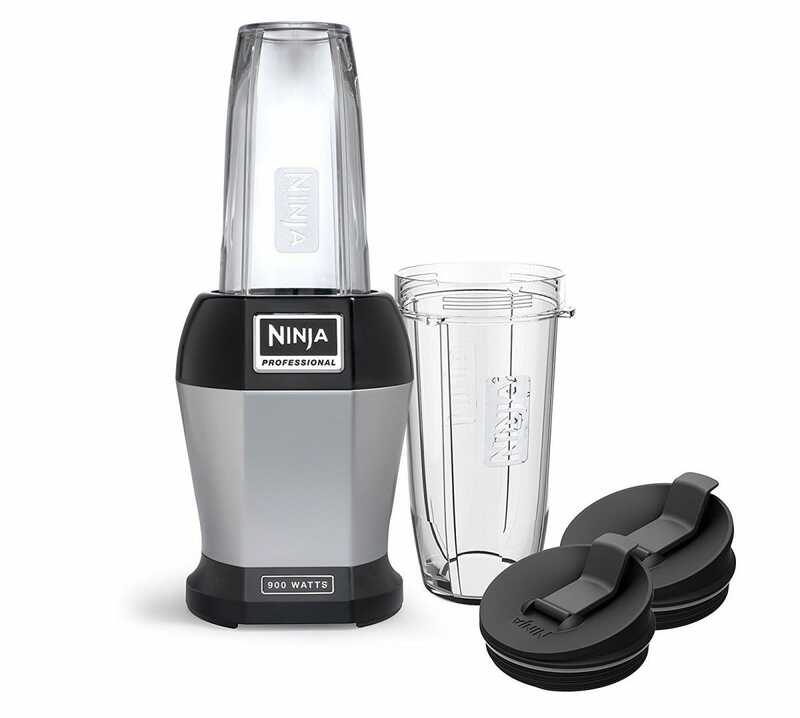 At 900 watts the Nutri Ninja Pro Blender is highly effective against mostly everything you throw at it. 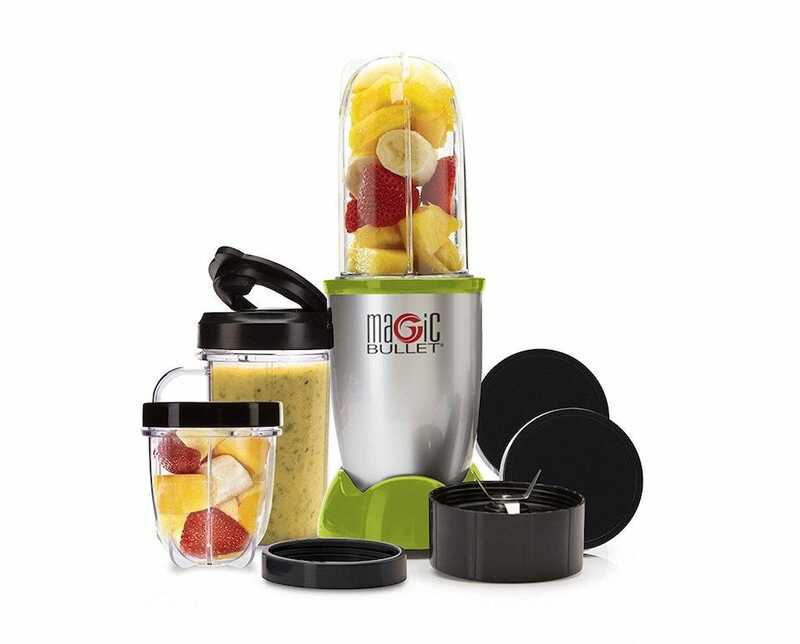 Impressively, it’ll blend whole fruits and vegetables within reason saving you plenty of prep time. The blender comes with 1 regular 24 oz cup, and 1 small 18 oz cup, with sip and seal lids that keep your smoothie or shake secure. There’s a 75 recipes cookbook included too, keen to provide you with inspiration. It’s pretty loud to use due to its powerful blending mechanism, but we’re sure you’ll forgive it on account of how well it chews through everything you toss at it. 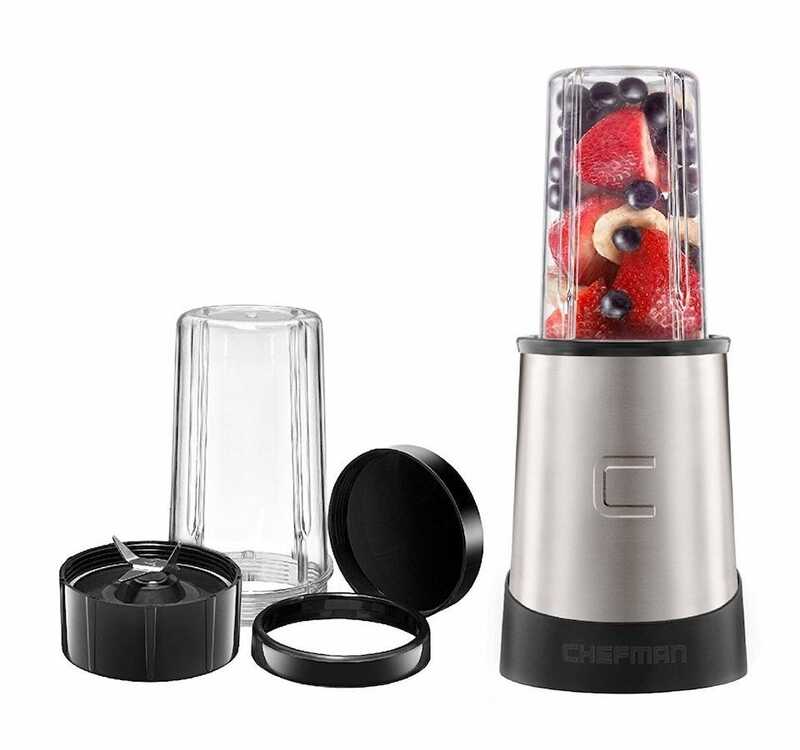 The Chefman Ultimate Personal Smoothie Blender is far from the most powerful bullet blender out there, but for the price, it’s still well worth purchasing. The blender focuses on single serve portions with its two travel cups that also include lids. Simply twist the container on and hit the button to get blending. It’s immensely simple to use, so it’s perfect for a quick smoothie before your run or a protein shake after the gym. It’s also good for making up salsa or guacamole in a rush. A 240 watt motor means you need to cut up some fruit and veg beforehand, but it’s speedy where it counts. It’ll crush ice too, along with more solid veg and greens. For those with a bigger budget, the NutriBullet 12-Piece High-Speed Blender is a comprehensive blending system from the Magic Bullet company that’s still great for small form needs. Stylish and powerful, the blender’s 600-watt motor contends with mostly everything you throw at it. There’s 1 flat blade as well as an emulsifying blade to reinforce this message. It’ll easily burst open seeds and crack through stems and tough skins, so you don’t have to worry about what you toss in. Storage wise, you can use the device’s tall cup or one of its two short cups to dose up on a smoothie or protein shake. It’s not excessively noisy too, which is perfect for bleary eyed mornings when you’re doing the right thing with your meal plan. 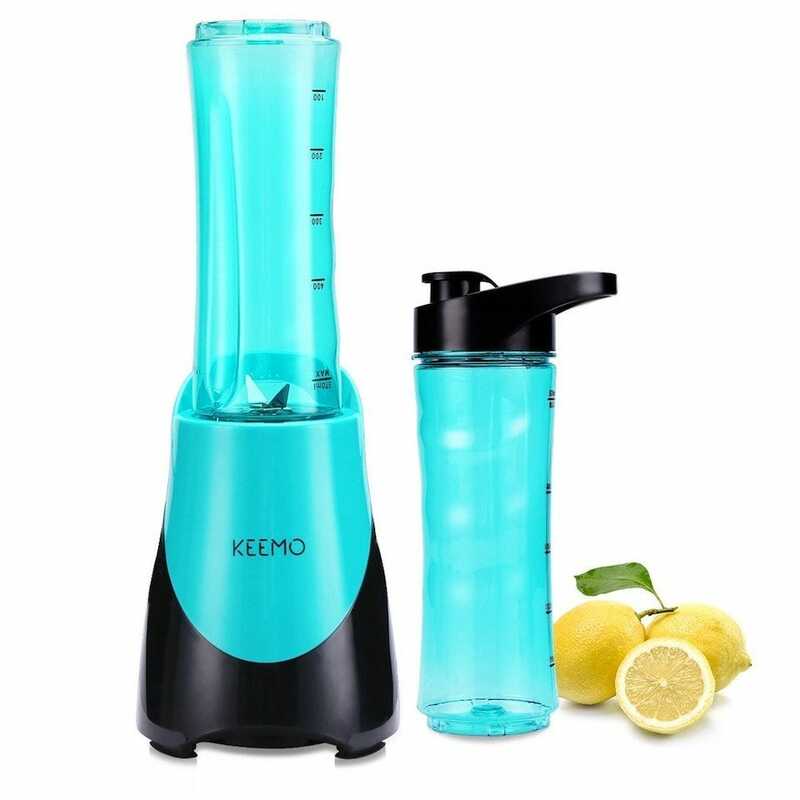 Fitting into the sports motif of smoothies and shakes, the Keemo Single Server Blender features a container that looks right at home in the gym. Its cup has a sippy cup style top so you can easily grab a drink while on the move. When it comes to the blender, the 300 watts of power means it can’t contend with ice or hard fruit, but it’s perfect for liquid and soft fruit. 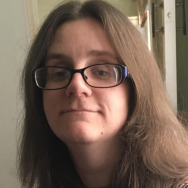 It blends these in about 30 seconds with minimal effort from you. Anti slip suction feet mean you can move it around the kitchen side too, with such portability being very practical. It’s a little basic compared to other blenders here, but for speedy needs and when you just want to get to the point, it does the job well. And at a bargain price. 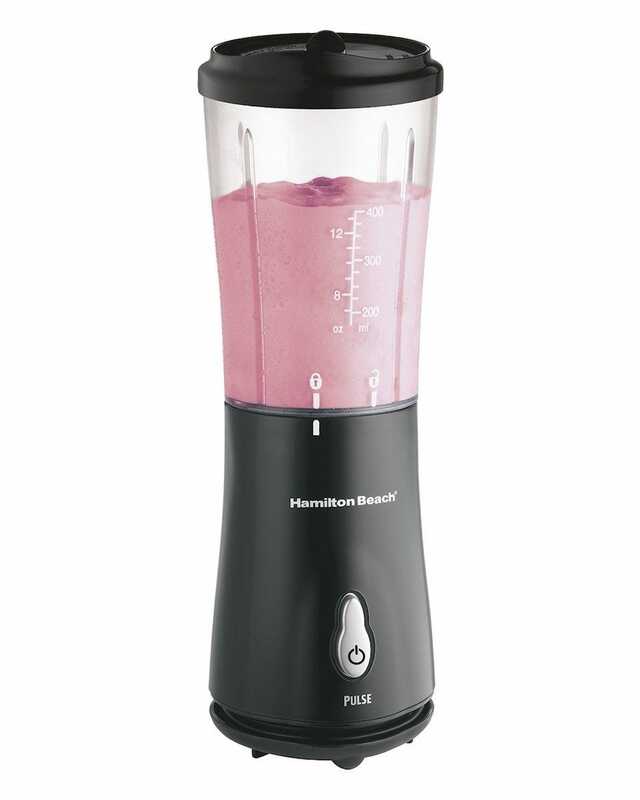 For the tightest of budgets, the Hamilton Beach Bullet Blender hits the spot perfectly. The blender only comes with one container— a 14 oz blending jar—but it works great as a portable travel cup that also happens to fit most car drink holders. Its 175 watt motor can contend easily with liquid and soft fruit, although expect to cut up anything too chunky along the way. A sturdy base and a one touch control system means you won’t have to spend ages figuring out how to use it either. As an introduction to bullet blenders, or if you’re on a slim budget, the Hamilton Beach Bullet Blender is the perfect entry point. Most smart plugs on the market have one thing missing: they’re not designed for outdoor use. The iClever IC-BS06 smart plug, however, is built for outdoor life and nasty weather—and even has some nifty features tacked on.